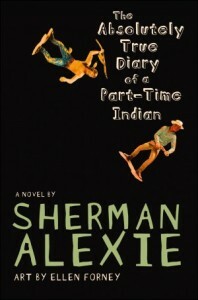 CBLDF yesterday signed on to a letter from NCAC’s Kids’ Right to Read Project, urging the Conejo Valley Unified School District in Thousand Oaks, California, to expedite the approval process for Sherman Alexie’s The Absolutely True Diary of a Part-Time Indian to be used in the 9th grade curriculum. The process has stalled after one school board member objected to language and sexual references used in the book. In past years, the school board has made decisions on all books that teachers indicated they’d like to use in the following school year prior to the final board meeting of the previous year. This time around, however, the process hit a snag after board president Mike Dunn raised objections to Part-Time Indian. The board still has not voted on whether to approve the book; if it fails to do so next Tuesday at the final meeting of this school year, teachers will not be able to use it in class next year. That Part-Time Indian contains strong language does not discount its pedagogical value as a whole. Otherwise, classic works like Julius Caesar, The Lord of the Flies, and Brave New World – all of which are widely taught and Board-approved for the CVUSD core literature curriculum – would have no place in classrooms and libraries because of their respective inclusion of profanity and sexual references. 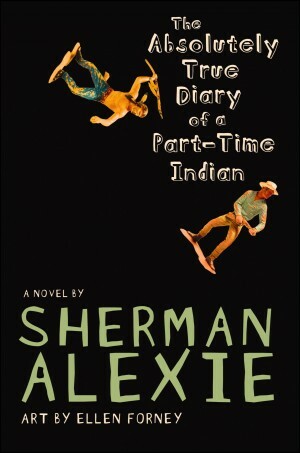 CBLDF has joined several defenses of Alexie’s award-winning novel over the years. It has appeared on ALA’s annual list of the most challenged books on several occasions since its 2007 publication despite accolades from The New York Times, The San Francisco Chronicle, and more. It won the 2007 National Book Award for Young People’s Literature and several other awards, and it has been included in school curricula around the country since publication. Most recently, the book weathered challenges in Minnesota’s New London-Spicer School District and Wisconsin’s Sauk Prairie High School. In addition, Dunn’s objection seems to have prompted informal parental challenges to three more books already approved in the high school curriculum: Snow Falling on Cedars by David Guterson, The Kite Runner by Khaled Hosseini, and The Catcher in the Rye by J.D. Salinger. The letter from KRRP also urges board members to adhere to district policy regarding those challenges, which should originate at the school level and pass through several levels of appeal including a review committee and the superintendent before reaching the school board. Read the full letter below, and stay tuned for updates following the board meeting next Tuesday!